According to The Charter of the Estonian Co-operation Assembly 2014, one direction is creating a substantial social partnership. Based on the Estonian Co-operation Assembly’s evaluation, the first focus should be on creating a more contemporary pension system. 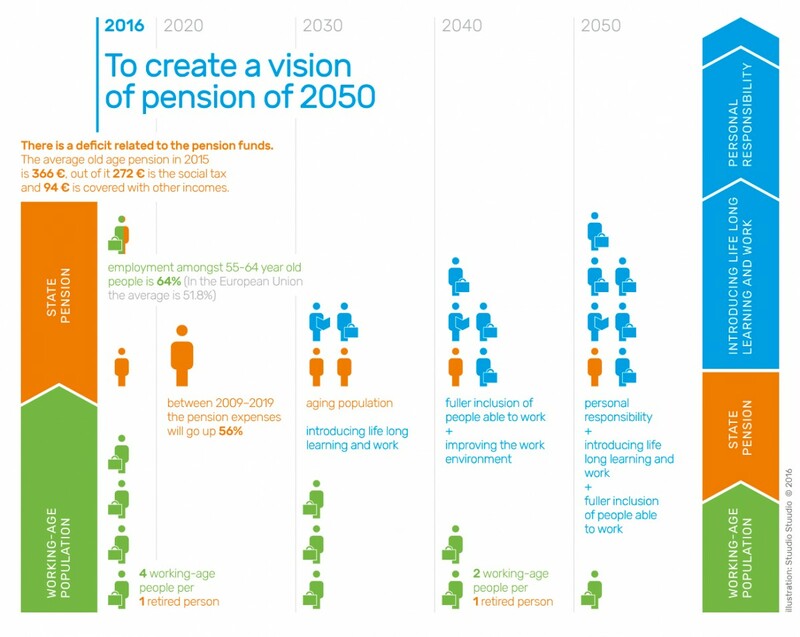 Therefore the main activity in 2016-2017 were creating a vision and triggering a societal discussion for a new pension system known as Pension 2050. The main goal of the two-year program Pension 2050 has been leading a public discussion on the future of ageing. 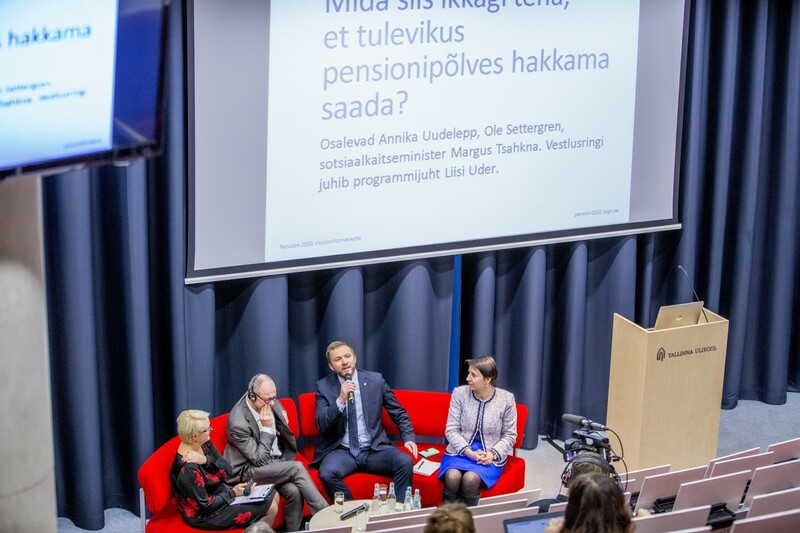 In parallel with the program, Estonian Government has been preparing a pension reform, according to which the age of retirement will increase together with estimated life expectancy, and the flexibility in choosing the size of your pension and your retirement age will increase too. 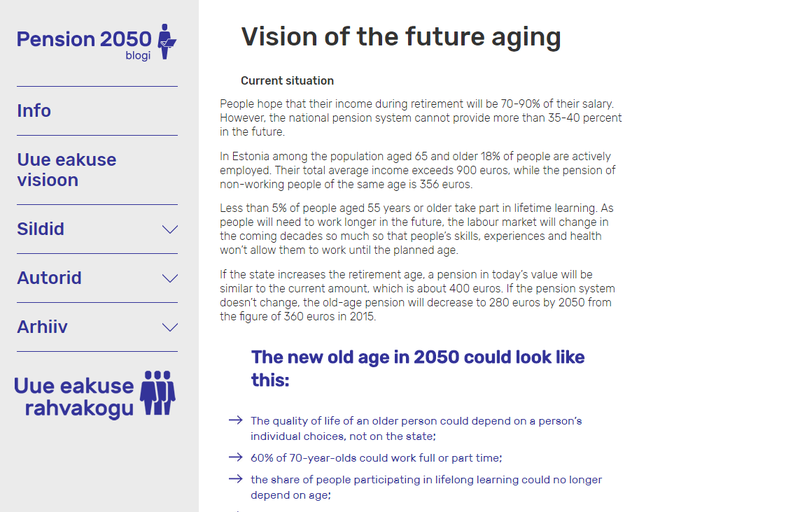 The program Pension 2050 has aimed to increase public awareness on having to work longer years in the future, study and better prepare ourselves for old age. Several non-governmental organizations (for example Kuldliiga, 65B), scientists, think tanks and other interest groups have given their contribution to public conversation. The manager of the program has written a number of opinion stories about why and how to prepare for old age. In addition, the media has published journalistic approaches about the People’s Assembly on the Future of Ageing, ideas proposed there and their further progress. During the first year of operation of the program Pension 2050, experts have gathered in order to discuss in focus groups about how to raise the employment of the elderly, their rate of attending schooling and personal responsibility in collecting pension assets. The results of the work of the focus groups were an input for drawing up the new vision of future ageing. 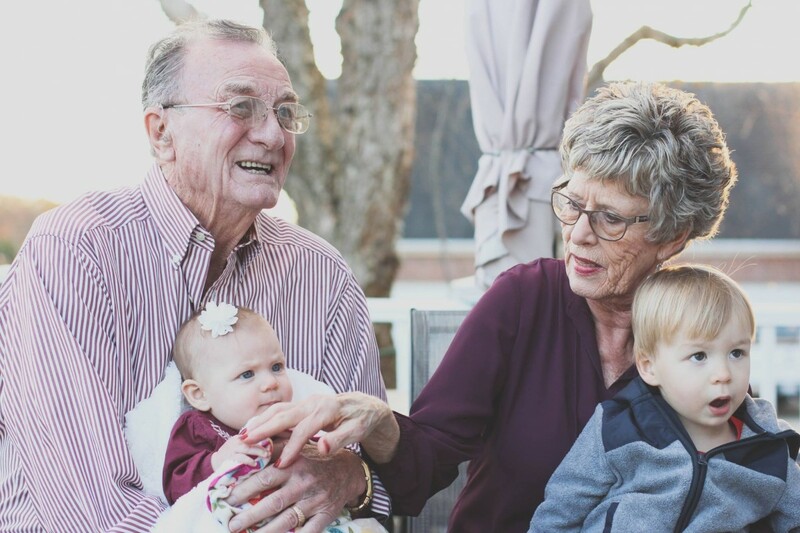 The New Vision of Future Ageing is a short overview about what the old age should be like in the year 2050. In addition to distant goals, it has been written down in the vision, subject by subject, what kind of obstacles and problems need solving, in order to reach the desired situation by 2050 or sooner. The vision also contains some possible solution options. The new vision of aging was the basis for the People’s Assembly on the Future of Ageing. The wider implication of drawing up the new vision of ageing was mapping out current important problems that need solving, and guiding the idea. The new vision of ageing supports the Government’s pension reform, thereby pointing out that only by supplementing the national pension system, we cannot ensure all elderly people a more active old age. We need to reform other areas too, in order to do that. While the new vision was a good base material for conducting the People’s Assembly on the Future of Ageing, it can be and it is worth using hereafter to support the pension reform. An understanding that the pension system reform does not increase the income of the pensioners in the future, has not sufficiently taken root yet. Some problematic subjects of the new vision of ageing, for example little wisdom of money or how the state should lead the changes in the society due to more and more increasing life expectancy, need more attention in the future too. On the subjects mentioned, too few ideas were presented to the People’s Assembly. The relationship of work(ing) and old age in the 21st century is looking for innovative solutions. Despite the changes in the system, pension has to be guaranteed for those who have earned the right to receive it. The People’s Assembly on the Future of Ageing was a platform created for the popularization of the new vision and its ideas. The goal of the People’s Assembly was to gather ideas on what the state could possibly do, so that the elderly age in 2050 would be more active and happy than it is today. 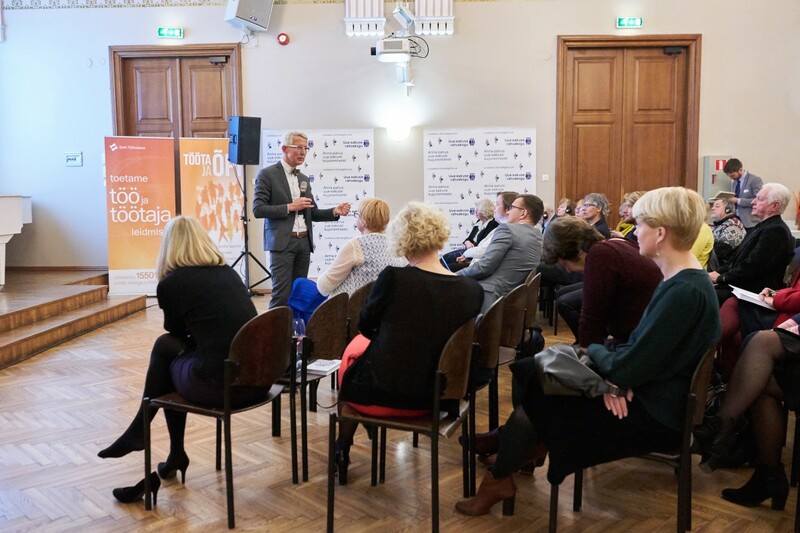 On the four subjects of the new vision – security, self-realization, health and adapting with the changes – 80 ideas from Estonian people were submitted. Close to 20 experts evaluated the applicability of these ideas, in addition to interested parties and the authors of these ideas themselves at thematic seminars. As a result of these analyses and conversations it appeared that 26 of the submitted ideas were nationally solvable and with possible positive impacts. These 26 ideas collected are still awaiting supporting signatures on the participatory web site uuseakus.rahvaalgatus.ee. Two suggestions – creating care insurance and a more flexible system of compulsory funded pension payments – had gathered so many signatures by the end of 2017 that they will be discussed at Riigikogu. 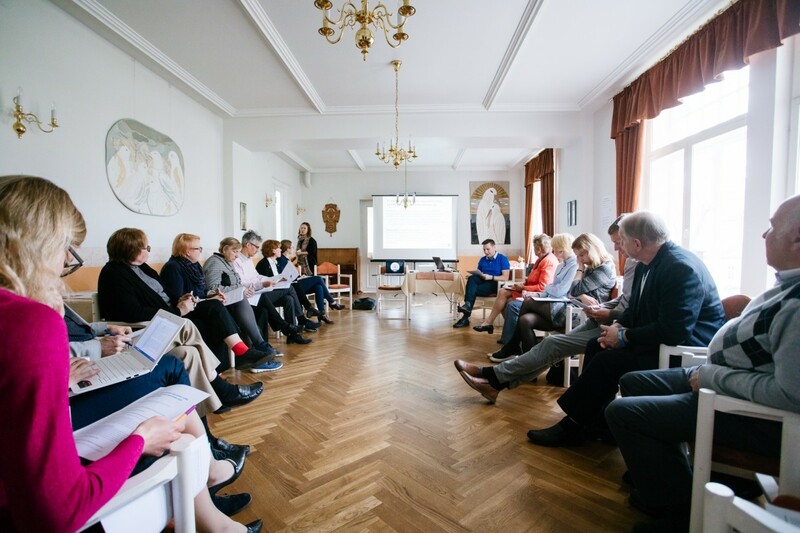 Although only some of the People’s Assembly ideas have made it to the parliament, instead, the greatest value of the People’s Assembly on the Future of Ageing is the revival of people’s assemblies as a co-creating method, binding new suggestions on ageing with collective referrals sent to the parliament and connecting Riigikogu more closely with participatory democracy processes. continuous discussion at the parliament. The program Pension 2050 has finished. Its actual results will reveal during the years coming. However, it is important that as a part of the program, i.e. the spirit and ideas of the People’s Assembly on the Future of Ageing would continue spreading. For this reason, Estonian Cooperation Assembly with partners (among them also the commission of the policy of elderly people, acting by the Ministry of Social Affairs) is observing the accumulation of signatures for ideas gathered in connection with the People’s Assembly on the Future of Ageing and the procedure of ideas which have gathered more than 1000 signatures at Riigikogu. Since the People’s Assembly on the Future of Ageing has been build up on the platform of rahvaalgatus.ee, the People’s Assembly on the Future of Ageing contributes to the spreading of people’s assemblies as a way of shaping politics as well.